"... Mirage is an exciting and absorbing film and has been made considerably more so by the musical score of Quincy Jones." 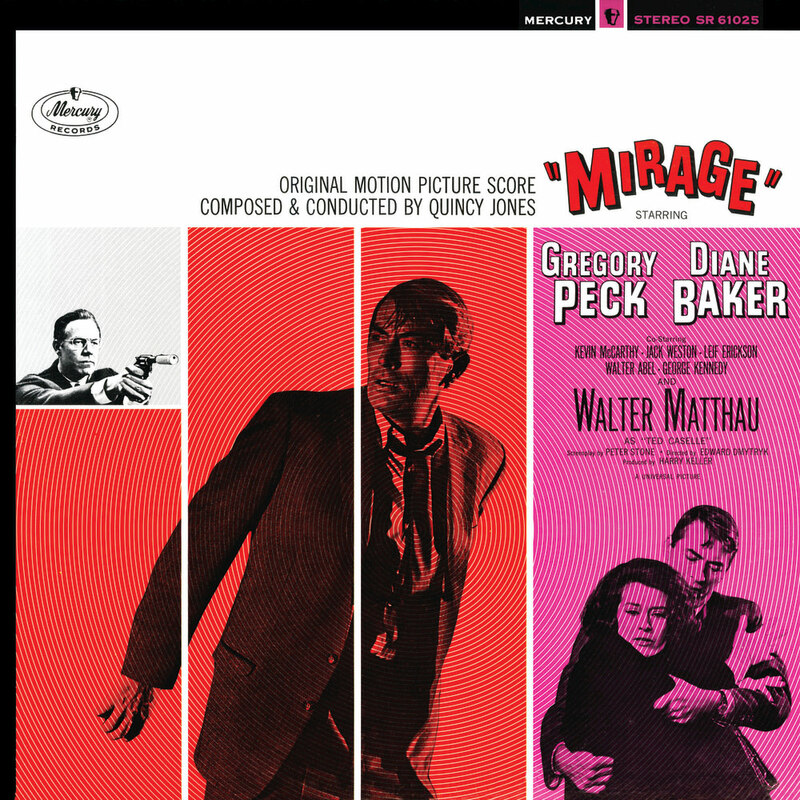 Quincy Jones's music helped build the dramatic tension in this 1965 crime mystery Mirage, starring Gregory Peck and Walter Matthau. In addition to the instrumental score, the album includes a vocal version of the title track with lyrics by Jones's writing partner Robert Russell.